It could be tough to fit in kids’ shoes but you have to do that especially when it comes for your little angle. Open up a secret door to fairy castle and let your daughter grow up in this dreamy land. 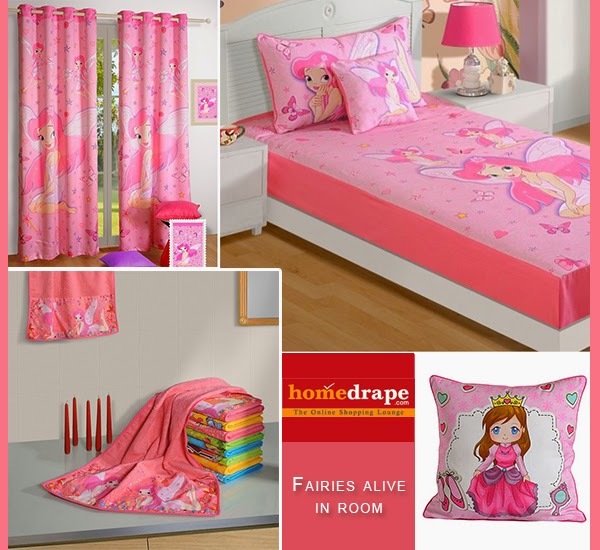 Full of cuteness, loveliness and pink hint, it’s time to get everything from curtains, bedding to her towels inspired by beautiful fairies. Seeing whimsical canvas around her little desires could be turned into a reality. Don’t restrict her just to elves in story books and bring fairy themes alive for an incredible setting. So, here are some simple tips that you could try and surprise your lovely daughter. Color Scheme- With no doubts pink has to be there when it comes to a girly room. Along with that, you can go for pastels like lavender or peach. Woodland accents such as forest greens and woody brown can also be added for the warmth. In between a tinge of whites or creams would bring the serenity in room. Furniture- Here, you need to be little dramatic and thoughtful. You need funky, creative or even an old tasteful piece that can fit in your design theme. In this context, you could take the help of thrift stores nearby your area. An indoor tree, circular bed or a bird house, these are options you can experiment with. Soft Bedding- Bed linen with throw pillows, get them all in pink shades. Mix and match them for a coordinated and unified look. With frills and cute prints of flowers, fairies and castles you could bring the real effects. Further, add lots of cushions in hues that complement the design scheme on bedding. Gorgeous Drapery- Curtains have a big role to play in fairy bedroom. If you can’ believe it, then check out our digitally printed fairy kids curtains. It has got the dazzling fairy detailing and matching tie ups for a dreamy feel. She could relate with the amusing fairytale when fairies would dance right on her rooms windows. Additional décor items- Sometimes last touch up make a big difference in the theme. So, don’t forget to give your last try by using some funky cute stuff like garland hangings on ceiling, lace around bedding, miniature figurines of fairies or garden genome. Even you could use your daughter’s name on bed railing to make her believe this room belongs exclusively to her. Try out this wonderful room makeover project and have fun. Leave a comment about your experience, any doubts or if there was any additional effort you have putted in executing this theme. Share anything with us as we love to hear from our readers.